BMW is poised to give the go-ahead to a tiny Zero Emissions Vehicle (ZEV) that will help to revolutionise city-centre driving. The rear-engined city car could be called Isetta and will first arrive in American showrooms in 2012.The project was created because of new Californian regulations (soon to be copied by 12 other US states) which require big car makers to sell between a few hundred and a few thousand ZEVs every year from 2012. However, global sales of the new model are also likely, because BMW has decided that the concept will be ideal for sale in cities all around the world. Indeed, many European cities have already established low-emissions zones.BMW chief Norbert Reithofer recently said the company “would be obliged to sell a Zero Emissions Vehicle under the US regulations and that a battery car was “the most likely answer”. Reithofer also said that BMW could have built just a few hundred cars to meet the US regulations but admitted that the company was also wondering if it could use the basic concept “not just for an electric car but also for a range of city cars”. 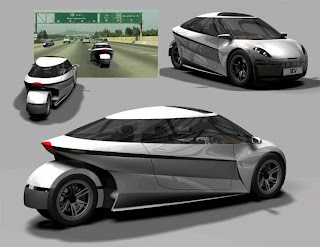 These cars would use petrol and diesel motors, and could even feature BMW motorcycle engines.The Californian regulations state that ZEVs can either be a fuel cell or battery-powered vehicle with a range of over 200 miles, or an Advanced Technology, Partial Zero-Emission Vehicle (AT-PZEV) powered by a hybrid powertrain, by compressed natural gas (CNG) or by a methanol fuel cell.BMW has yet to decide what badge the new Isetta will wear. “It could be BMW, Mini or another name,” Reithofer said. He also said that “co-operation [with another car maker] is possible” but stated that BMW would decide by the end of 2008 “whether to go it alone”. Because the volumes are relatively low and the potential investment is high, sources in Germany say that BMW could also team up with Mercedes’ Smart division to work on a new vehicle. BMW is said to be looking seriously at basing the new Isetta on a small zero-emissions concept developed by Austrian engineering powerhouse Magna Steyr. Magna already builds the BMW X3 and will build the Aston Martin Rapide. It looks to me like the car has been in an accident. An accidental 'liason' between a 1-series and a Smart fortwo? Could be and it looks like the Smart bit chunks out of the 1-Series' face. We sure would love to see this vehicles in America, but Bush's latest fuel economy standard, or more correctly his latest fuel extravagance standards, is doing his best to kill the California ZEVs before they even get started. handosme and cute hope bmw goes with this design.